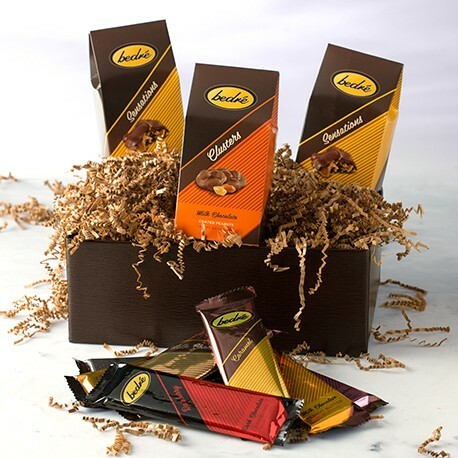 For a flight of our most popular chocolate products, give our Home Sweet Home (Small Gift Tray). 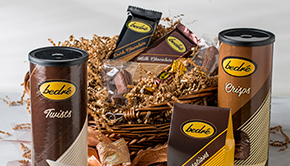 This elegant gift features an assortment of Bedré favorites! For a flight of our most popular chocolate products, give our Home Sweet Home (Small Gift Tray). 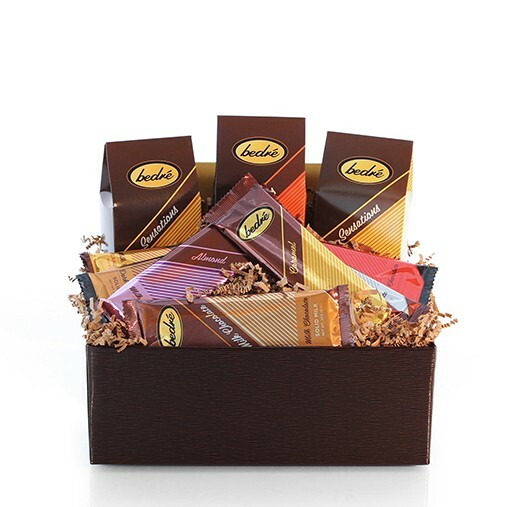 This elegant gift features an assortment of Bedré favorites including two 5-ounce boxes of Sensations, one box of Clusters and seven 2-ounce candy bars (includes Solid Milk Chocolate, Milk Chocolate Caramel, Milk Chocolate Potato Crisp, Milk Chocolate Peanut Butter, Milk Chocolate Almond, Solid Dark Chocolate and Dark Chocolate Raspberry). These are the best. Chocolates I have tasted!